I was flipping through the television channels last week and I came across Ken Burns’s last episode of his Civil War documentary. It is such a highly regarded series and one in which I hope to see from beginning to end some day. I have always been fascinated by the Civil War and, like so many Americans, I am a very big admirer of Abraham Lincoln. This was the episode that covered the events of Lincoln’s assassination and the tremendous mourning the country went through during the long train ride carrying his body to his final resting spot in Springfield, IL. He was a remarkable man and his loss was devastating to the country. I could feel the tangibility of the loss and it was 100 years before I was born. I had already been in a Lincoln frame of mind after having recently visited Gettysburg. 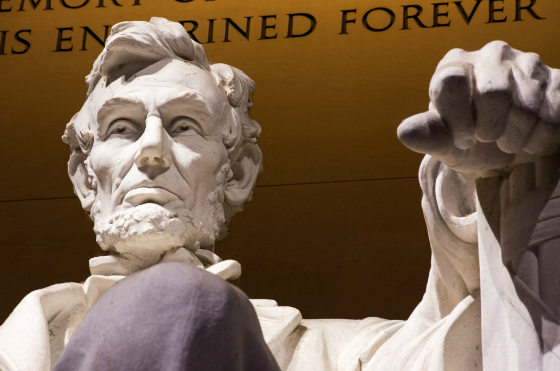 Lincoln’s most famous speech is considered to be the Gettysburg Address, which becomes understandable when one spends some quality time reading and analyzing it. His second most famous oration is the second inaugural address that he gave on March 4, 1865. This was only 36 days before General Lee formally surrendered at Appomattox and 41 days prior to Lincoln being shot and killed by John Wilkes Booth. The two events were not unrelated. Booth was stewing in anger about the defeat of the South and drinking heavily and he wanted to take his rage out on Lincoln, as well as the Vice President and Secretary of State. I wanted to take the opportunity to go through the relatively short speech, especially by today’s standards, and analyze it from my perspective as an investor and someone who respects talented leadership skills. I will comment after each major part to convey what I find most important and the leadership lessons I get from it. Gary: He is already showing he is one of them. Great leaders make their followers feel like they are understood and Lincoln starts right off by addressing his constituents and himself as Americans. At this second appearing to take the oath of the Presidential office, there is less occasion for an extended address than there was at the first. Then a statement somewhat in detail of a course to be pursued seemed fitting and proper. Now, at the expiration of four years, during which public declarations have been constantly called forth on every point and phase of the great contest which still absorbs the attention and engrosses the energies of the nation, little that is new could be presented. The progress of our arms, upon which all else chiefly depends, is as well known to the public as to myself, and it is, I trust, reasonably satisfactory and encouraging to all. With high hope for the future, no prediction in regard to it is ventured. Gary: The country is tired. Lincoln is tired. What he spoke about the first time was a different time and place. He’s not going to waste the American people’s time rehashing the past. People want to know what lays in store now that the war is concluding, the carnage has been horrible, and the wounds so difficult to heal. Leaders know that nothing stays permanent, the context can change, and one must adapt to the new realities, attitudes, hopes, and fears. It’s obvious to everyone that the North will win and the union will be preserved. It’s time to move on and look ahead. On the occasion corresponding to this four years ago, all thoughts were anxiously directed to an impending civil war. All dreaded it, all sought to avert it. While the inaugural address was being delivered from this place, devoted altogether to saving the Union without war, insurgent agents were in the city seeking to destroy it without war—seeking to dissolve the Union and divide effects by negotiation. Both parties deprecated war, but one of them would make war rather than let the nation survive, and the other would accept war rather than let it perish, and the war came. One-eighth of the whole population were colored slaves, not distributed generally over the Union, but localized in the southern part of it. These slaves constituted a peculiar and powerful interest. All knew that this interest was somehow the cause of the war. To strengthen, perpetuate, and extend this interest was the object for which the insurgents would rend the Union even by war, while the Government claimed no right to do more than to restrict the territorial enlargement of it. Neither party expected for the war the magnitude or the duration which it has already attained. Neither anticipated that the cause of the conflict might cease with or even before the conflict itself should cease. Each looked for an easier triumph, and a result less fundamental and astounding. Both read the same Bible and pray to the same God, and each invokes His aid against the other. Gary: Lincoln minces no words in assigning the cause of the war to slavery. True leaders tell it like it is. Great leaders have tremendous clarity and block out noise and distraction. This was about slavery and it was a zero sum game.There would only be one winner. Despite the magnitude of what was at stake, Lincoln continues with his dispassionate characterizations of both sides, their objectives, expectations, and beliefs. 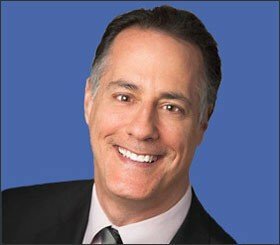 Gary: Some people are not comfortable with leaders discussing their faith. I personally like it provided they do not do so in a proselytizing way. I like when leaders inform us as to how their faith influences how they see the world, treat other people, and help guide their lives. Lincoln’s faith comes through loud and clear here in this powerful passage. His faith teaches him to withhold judgment which helps position himself as one of the ideal people to lead the nation to help it heal. And yet, he knew that he would never back down when it came to fighting the war so that slavery would be destroyed and the union restored. He said that prayers of both sides could not be answered. These were 100% irreconcilable positions. And, as I stated above, it truly was zero sum. For one to win the other had to lose. This war was of biblical proportions. The Bible is filled with stories of horrible bloodshed and terrible destruction so that a greater good could come about so that the righteous could overcome the immoral and destructive. Lincoln knew this and was willing to have the nation endure horrific sacrifices for the greater long-term good. This is where I strongly encourage you to read the Gettysburg Address to hear how succinctly he articulated why the nation had to “engage in a great civil war.” Without question, the country is better off for Lincoln having been relentless in his determination to win the war so that slavery could be eradicated and the union restored. Gary: Without a doubt, this is the most famous passage in the address and one for which Lincoln will be remembered in perpetuity. What’s done is done. The past is behind us. We have to move on and we will do so not only in the least vindictive way we can but with charity extended to the defeated. And at the same time, do not mistake our open minds and hearts as reflective of any feelings of guilt on our part. On the contrary, we know we were in the right, we didn’t want this war, slavery was immoral, the preservation of the union was paramount, and we were doing God’s work. Lincoln chose to not extract revenge and a huge cost from the South by exploiting the power of the North. Once again, his overriding goal was the rebuilding of the union and the healing of the nation which required forgiveness, charity, and looking forward and not backward. Whenever you want to demonize someone or a group of people or the other political party, I encourage you to try to reframe the conversation into a much more impersonal approach like Lincoln did so brilliantly in his Second Inaugural Address.You will probably find that you can think more clearly about the issues, perhaps have some empathy for the other side, and do your small part to improving civil discourse. One of the great contributions we can make to our society and democracy is civility. That is why reading this address should be required of every individual in this country beginning at a very young age. I encourage every parent reading this to have their children read it and help them contrast it with what is heard on television and social media and ask them which do they think is more civil and humane and how would they prefer to be treated. Lincoln’s way or the ways of the bullies in politics, partisan television, and social media? I know my answer. As I’ve said, I know my answer, what’s yours? ‹ The Wisdom of Chief Justice John Roberts, Jr. Excellent analysis of Lincoln’s speech, Gary. At a time when hatred seems to be en vogue, you do well to remind us all that true leadership that looks first and foremost to civility and healing is what this nation, indeed this world, needs most.